Making sure you qualify for bad credit auto financing is our specialty. AutoNetFinancial.com has been providing people with car loan options for nearly 22 years; when you don't know who will finance a car with bad credit, we can help. Our team has been working with many special auto finance lenders across the US and Canada for years to help people get car loans wit bad credit scores. Our exclusive network of in house financing car dealers and other used car lenders is here to help! When it comes time to hunker down and buy a used car, even with poor credit you should consider financing the vehicle. Mortgages and car loans are some of the best ways to build up your credit rating or even start rebuilding your credit. 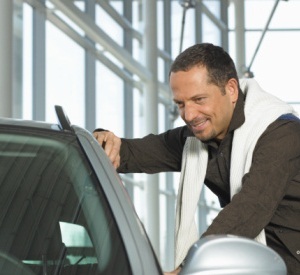 Often times auto loans for people with bad credit are easier to find and apply for online. When you are trying to finance a vehicle with poor credit ask yourself a few questions. Will you need a co-signer, have you talked with them? Have you figured out your total expenses? Who Finances Cars for People with Low Credit Scores? If you want to find out who finances poor credit auto loans, you need to know the "how" first. It's always best to be prepared with the proper research when applying for auto financing with terrible credit. But don't let the sound of research stress you out, for the most part all you need to look at is your overall income and any regular expenses that you make. Financing a car with low credit scores is done much easier online and can save you some time. Online car loan finance companies can find the best loans for new and used cars in your area. They will be able to walk you right through, step by step with the proper information if you need a vehicle financed. Getting approved for financing is easier than you might think. Granted, interest rates for people with poor credit ratings will be slightly higher. But if you are looking for a preapproved auto loan, most online auto finance companies will be able to help you.